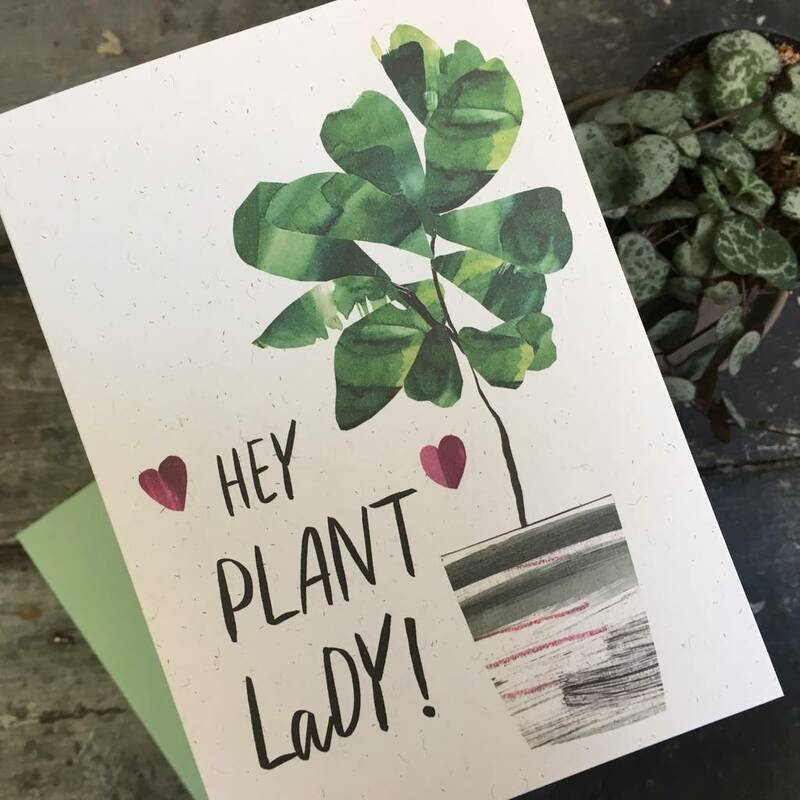 Say Hello, Happy Birthday or Good Luck to the crazy plant lady in your life! 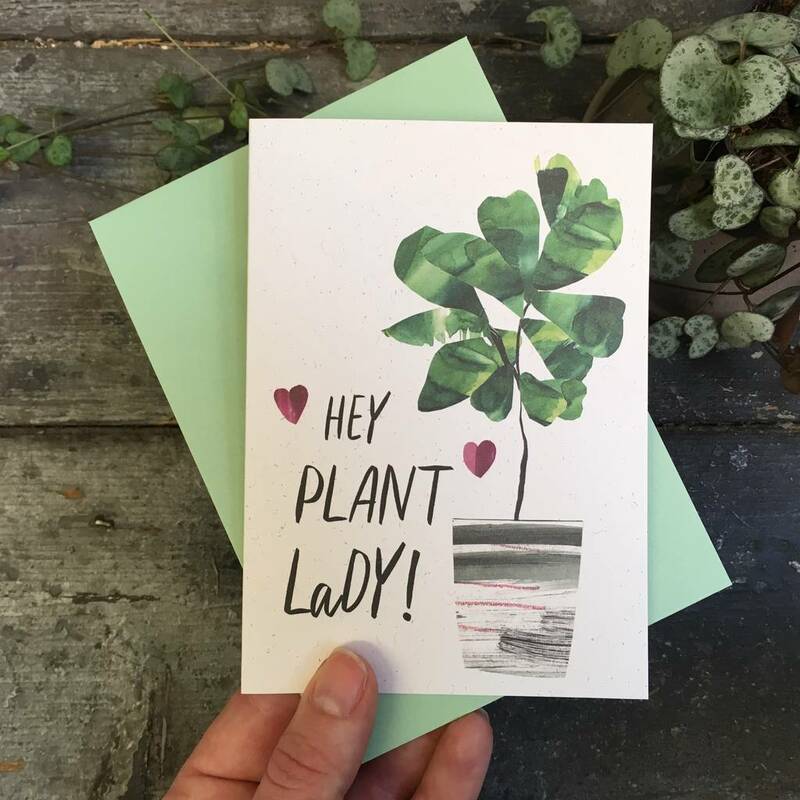 This crazy plant lady card would be a great birthday card for gardeners, succulent lovers or houseplant fanatics. 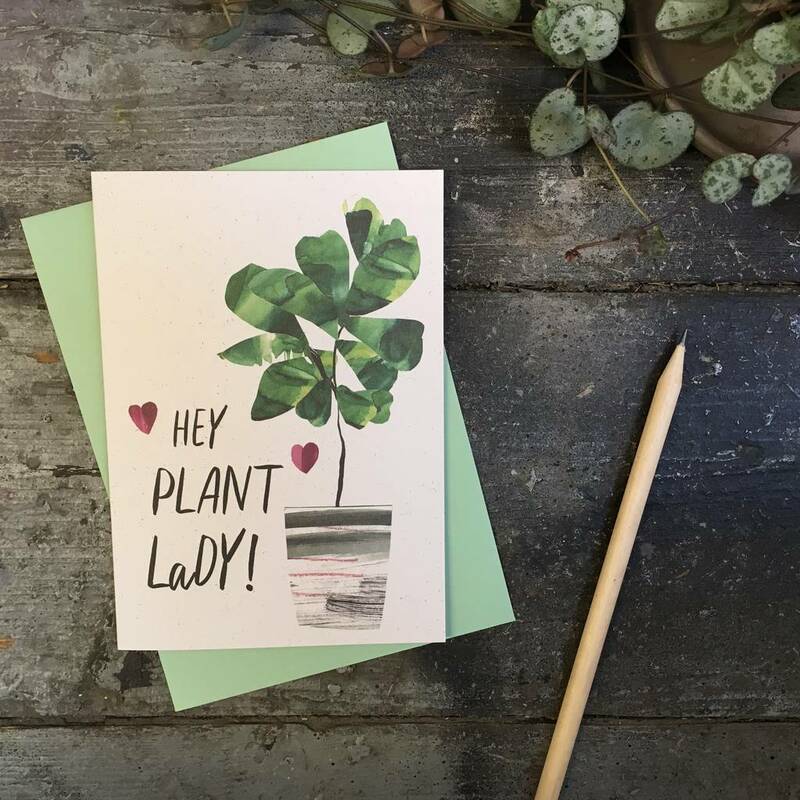 It features a collaged house plant illustration - a trendy fiddle leaf fig in a stripy pot. Our plant lady cards are printed on 100% recycled textured card, soft green envelopes are supplied. Printed to order in our studio on 100% recycled card. This product is dispatched to you by Double Thumbs Up!. More items from Double Thumbs Up!